While I have been fortunate to get some review items sent to me at no charge from companies like Adaptive Tactical, GNAR, and Black Hills Ammo (review coming soon! ), for the most part, I have to pay for any review items I acquire, or at the least, pay for the ammunition, which, in order to do a proper review, consumes hundreds of rounds. Plus, occasionally I have to purchase/rent upgraded camera equipment or the occasional laptop. And I’m more than happy to do it. However, this means the turnaround time for review items, by necessity, has to fit around my day job scheduling and little things like hurricanes and so forth. So, it gets kind of slow, and in the interim, I end up boring you to death with political articles, and theoretical ramblings on training techniques. With that in mind, I thought about setting up a “tip jar” of sorts. I figure, if you enjoy my work here on the blog, or on social media, why not show your thanks with a small gratuity? I’m not asking for an investment-grade donation, though admittedly I wouldn’t turn down such a thing, but more of something of the nature of a tip. Whether it’s a dollar, ten dollars, x amount of Bitcoin (yes, I accept BTC), or more, every little bit helps. All income received, minus the fees my funding engine, FreeStartr, imposes, will go towards the operation of this blog. Plus, I’ll give you a shout-out on social media, even. Even a small amount helps. 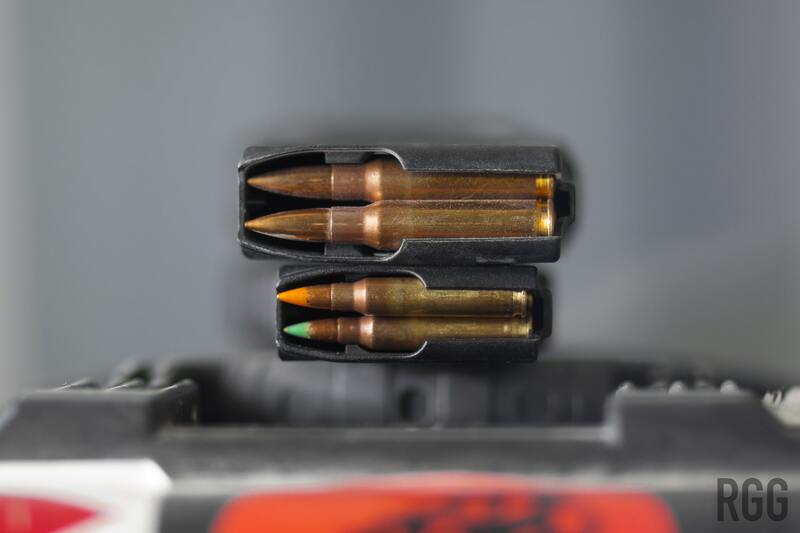 Ten dollars puts 20 rounds of good 5.56 downrange for a review, if you think about it. Overall, this is kind of the reality for small-to-medium-size firearms bloggers. We rarely get test items for free. GLOCK isn’t banging down my door to run the latest Gen5 firearms. H&K likes some of my posts on Instagram (and that’s epically awesome), but I’m not getting a VP9SK sent my way for test and evaluation. I have to go out and buy it, or at least find a range where I can rent it. And outside of specific review situations, ammo does cost money. So, donate if you can, and whatever you can, or want to. It only makes things better for us all. You’re supporting true independent media, and also the Second Amendment. The fundraising campaign itself is open-ended. My goal is actually to turn it off someday, as such an event will signify that this blog has finally become self-sufficient. You can donate over at my FreeStartr page. Thank you all for your support, regardless of whether you donate or not! You are probably asking - “What is FreeStartr?” right about now. FreeStartr is basically a funding engine (my term) for causes and projects that may fall out of the statistical social norm of the leading companies of the internet world. One can raise money for all manner of causes through the common outlets like GoFundMe, Kickstarter, and so forth, but the minute firearms get involved, your efforts are shut down, and funds collected are not transferred to you. It’s the current ‘battle’ on the internet, as we are all (painfully) aware of. The service providers, supposed bastions of freedom are routinely shutting down content providers for thought that doesn’t follow the social mores of said providers. If your content or cause doesn’t toe the party line, off ya go. Or at the minimum, you get “shadowbanned”, where your content is denied organic growth, and is ineligible for even paid reach. Must be nice to turn down money. FreeStartr’s mission is to make sure that no one is ever unable to raise money for a project — creative, charitable, journalistic, social or otherwise — because they were banned, censored, shut down, or demonetized on other Internet platforms for exercising their right to free speech under the First Amendment of the Constitution of the United States of America. Which should cover my endeavors here. Caveat. I have had no dialog with anyone at FreeStartr. I set up my funding page on their service, and it appears to have not been taken down. The only reason I mention this is because, even with freedom-oriented services, it does appear that us gun guys and girls walk a line. For example, burgeoning social media service Gab allows just about anything, but in their TOS, explicitly forbids sites which sell weapons. It doesn’t seem to be enforced, to their credit, but they could enforce it. FreeStartr, on the surface, has no such prohibition. I think I’m safe. If I have to pivot to another place, I’ll let you know.